A court in Cologne, Germany, is to start hearing a case over two Yemenis who were killed by a US drone strike in 2012. The relatives of the deceased, who brought the case to court, say the victims were strong opponents of Al-Qaeda. Imam Salim bin Ali Jaber, and his cousin, Walid Abdullah bin Ali Jaber, who was a policeman, were killed in the village of Khashamir in eastern Yemen when five US missiles struck the area and exploded after having been launched from drones. The case was brought about by Faisal, Ahmed Saeed and Walid Abdullah bin Ali Jaber, who were unable to arrive from Yemen to Germany for the hearing. In their suit, relatives of the two dead Yemenis alleged that Germany allowed the US using the Ramstein air base to relay flight control data for drones. In so, Germany, they claim, violated its constitutional obligation to protect the lives people, including non-Germans living outside the country, when the threat comes from German territory. The administrative court in Cologne has confirmed Germany’s obligation to protect lives, but turned the lawsuit down referring to the fact that the government has virtually no authority over the US troops stationed in the country. The US side agreed when told by the Germany that the American Ramstein air base had to operate according to the German and international laws, the court said. But besides that "German authorities have very limited influence on foreign troops' use of the property" due to the treaty signed by the two states, it added. The Court also noted that the government has to balance its actions with “foreign and defense policy interests,” which gives it space in constitutional obligations. Washington believed the victims had connections with Al-Qaeda. Meanwhile, the relatives said that the imam had urged residents to stand-up to the extremists and had no connections with the terrorist group. "The three complainants are requesting the German government to condemn the use of the US base in Ramstein for drone attacks in Yemen," Judge Raphael Murmann-Suchan of the administrative tribunal in Cologne said, as cited by DW. The relatives of the victims “allege that the airbase in Ramstein is being used, in different ways, for drone strikes in Yemen,” Murmann-Suchan added. 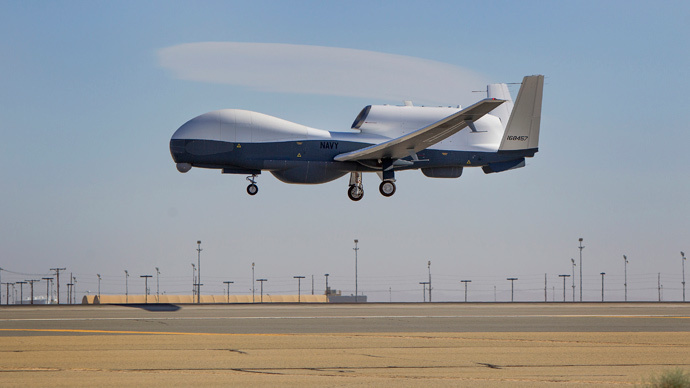 The complainants claimed that analysts evaluate position images of drones in Yemen and that data for controlling drones and shooting rockets is transferred from Ramstein to Yemen. Faisal bin Ali Jaber’s own family was also affected by this 2012 drone strike incident. The Bin Ali Jaber’s lawyer hopes the trial will help to battle against US drone program. “I’m confident that between the court and the German people, [this trial] will progress the debate hopefully to end the deaths of people like [Faisal’s relatives] Salim and Walid, who we should be working with, instead of executing,” Kat Craig, a lawyer with Reprieve, an international human rights group of human rights defenders, told Al Jazeera. Ramstein Air Base in Rhineland-Palatinate, southwestern Germany serves as HQ for the United States Air Forces in Europe. Built back in 1948, it is responsible for most of the US global Drone program. In April 2014, a testimony by a former US Air Force drone pilot revealed that Washington is using the base as its nerve center to wage highly controversial drone warfare in Africa, Yemen and Pakistan. “The entire drone war of the US military wouldn't be possible without Germany," Brandon Bryant, who resigned in 2011, told NDR television and the German newspaper Sueddeutsche Zeitung. The US has conducted 114 drone strikes in Yemen since 2002, according to statistics from the Long War Journal news website which reports on the War on Terror. At least 569 militants and 105 civilians have been killed in the attacks, the website says.